My, how time flies. 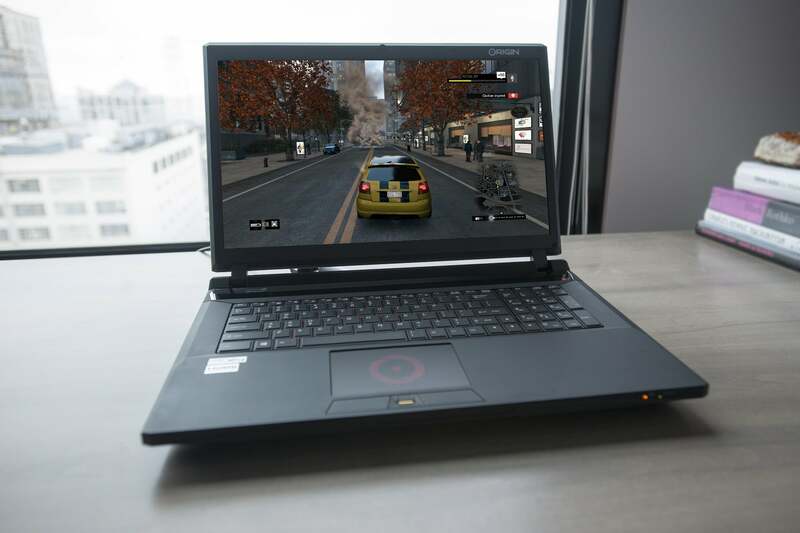 It was only last November that we laid hands on Origin’s EON 17-S. Now the gaming laptop is back, pumped up with Intel’s best mobile CPU—the Core i7-4940 Extreme Edition—and Nvidia’s absurdly powerful GeForce GTX 780M, which comes with 8GB of memory all its own. If that’s not enough to sate your hardware cravings, consider that Origin also packs 16GB of Corsair Vengeance DDR3/1600 memory, a pair of 120GB SSDs running in RAID 0 for blistering speed, and a 750GB mechanical drive that spins its platters at 7200 rpm. With all that silicon, Origin has boosted the EON 17-S from absolute beast to raging monster. The 17-inch display offers great viewing angles for a TN panel. Let’s dive right into performance. 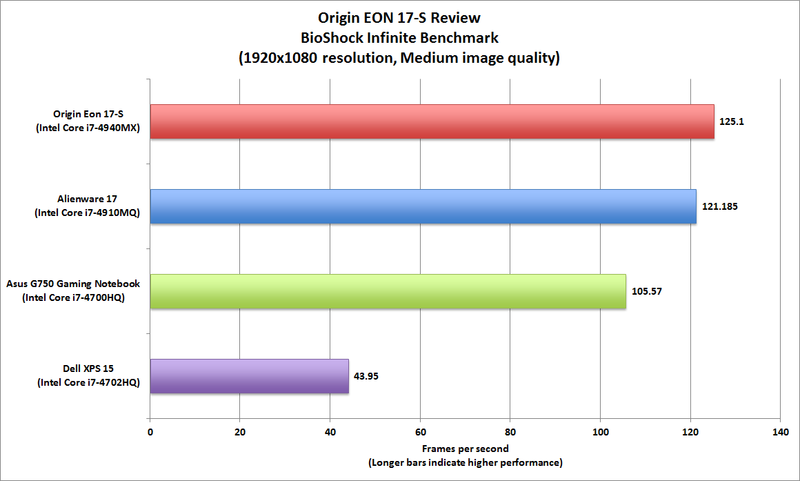 Compared to last year’s model, which came outfitted with a mere Nvidia GeForce GTX 780M, the 2014 EON 17-S delivers nearly twice the frame rate with AAA games. Playing BioShock Infinite at the display’s native resolution of 1920x1080 pixels, it cranked out 125 frames per second, compared to the 2013 model’s rate of 63 fps. Battlefield 4 leans a little harder on the GPU, but the EON 17-S still managed to deliver that game at a scorching 106 fps at the same resolution. The Origin EON 17-S delivered one of the highest Notebook WorldBench 9 scores we've seen. The Lab didn’t benchmark Origin’s machine at 2560x1600, but I plugged it into the DisplayPort input on a 30-inch Dell UltraSharp 3008WFP display and played BioShock, Battlefield 4, Call of Duty: Ghosts, and Grid 2. Each game looked fabulous, without a hint of pixilation or lag. And when I plugged in a gaming headset to audition its audio system, the Creative X-Fi MB3 software transported me to other worlds. In Bioshock Infinite, the deep rumble and blasting jets sounded so realistic, I almost felt the G forces as my rocket-pod blasted off from the lighthouse. Speakers run nearly the entire width, and there's a small subwoofer on the bottom. When it comes to intensely immersive game-playing, Origin pretty much nailed it. 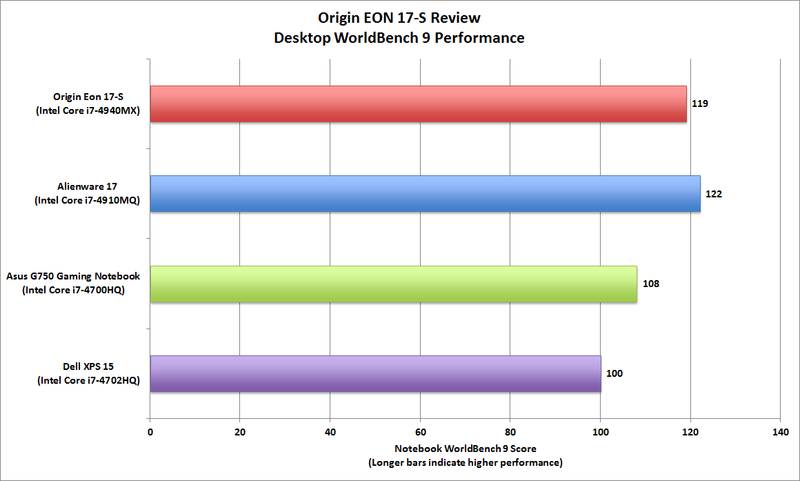 The EON 17-S cruises through work, too, blazing through our WorldBench 9 benchmark to produce a score of 119. I write articles and wrangle giant spreadsheets for a living, plus edit vids on the side. The EON17-S juggles all that stuff without breaking a sweat. The dual SSDs in RAID 0 ensure lets me get right to the task at hand without a long wait, and the 750GB of storage the mechanical drive delivers is just the ticket for my work and video files. This laptop needs a massive power brick to supply its electrical needs. But Origin, hear my plea: Please make the next EON 17 more roadworthy. $3480 isn’t chump change, but I’ll happily pay it for a truly portable gaming rig. You’ve pared a few ounces off this latest EON, but it’s still a big, heavy critter that’s two inches thick and weighs nearly 11 pounds when you include its massive 2.3-pound AC brick. And I can’t travel far without that, given its relatively short battery life. While you’re at it, can you talk to Clevo, the company that makes the chassis for this and other Origin products, about making sturdier enclosures? This one feels plasticky and a little flex-y—particularly the lid. It would take some doing, given its mass, but I fear that if I somehow knocked this machine to the floor with its lid open, its LCD panel would be toast. Actually, that scenario isn’t all that far-fetched for someone who travels frequently and spends a lot of time in unfamiliar hotel rooms. 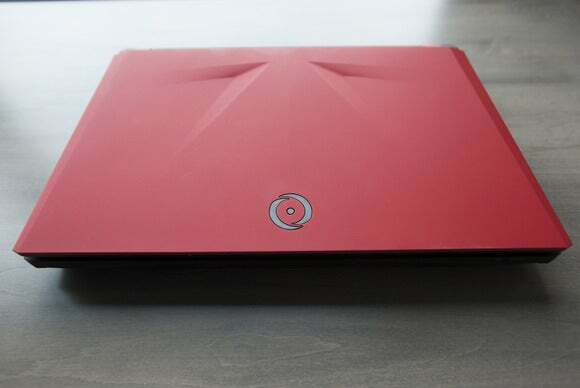 Yes, a comparably equipped Alienware would cost even more, but the aluminum and magnesium-alloy materials Dell uses feel stronger. The glowing Origin logo behind the trackpad is a nice touch, but I'd prefer a trackpad that operates more smoothly. The EON’s display and speaker system are very good. The 17.3-inch LCD is exceptionally crisp and sharp for its TN technology, offering wide viewing angles and remarkably low glare. But colors do look just a little pale. Origin includes Onkyo speakers in the raised speaker bar that spans two-thirds of the width of the laptop between the two screen hinges. Feet on the bottom of the laptop raise it about a half-inch off the surface, which both helps air flow and gives the one-inch subwoofer room to resonate. The audio configuration delivers rich, crisp sound that surrounds and envelops you. Still, nothing matches the immersive experience you’ll get from a high-end gaming headset. The EON 17-S's motto could be "every port in a storm." It seems to have them all. Origin provides all the I/O ports one could hope for, resulting in a laptop that can serve both workstation and gaming requirements. There’s DisplayPort, HDMI, and mini DisplayPort in back; FireWire, gigabit ethernet, two USB 3.0 ports, a memory-card reader, and a dual-purpose USB 2.0/eSATA port on the left-hand side; and a USB 2.0 port and no fewer than four 1/8-inch audio jacks on the right-hand side (headphone, mic, digital audio out, and analog audio out). Wireless networking comes in the form of an Intel Dual Band Wireless-AC 7260 adapter (there’s onboard Bluetooth support, too). Flip the EON over and you’ll find a DIYer’s paradise: Hatches on the bottom of the case provide quick access to the battery pack, drive bays for the hard drive and SSDs, and the DIMM slots. If you’re handy at fixing or upgrading your PCs, this could save you a bunch of time and money. 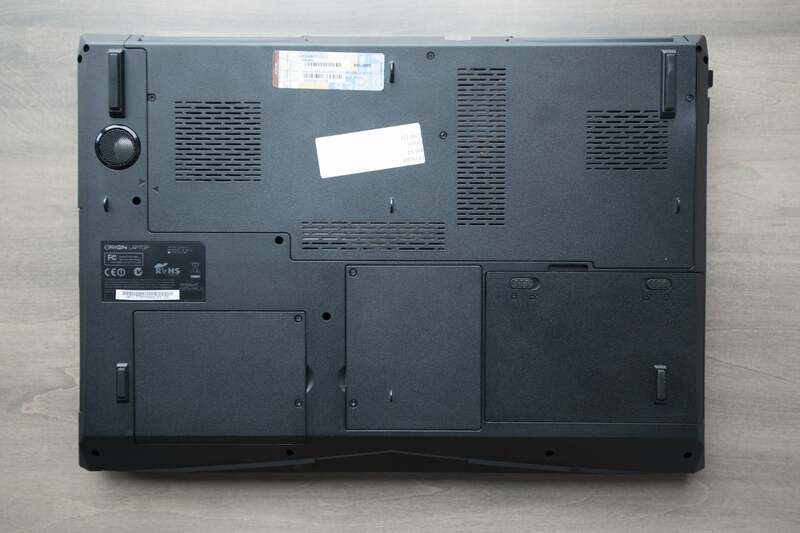 You can access just about every major component through a panel on the bottom of this laptop. Battery life? What battery life? 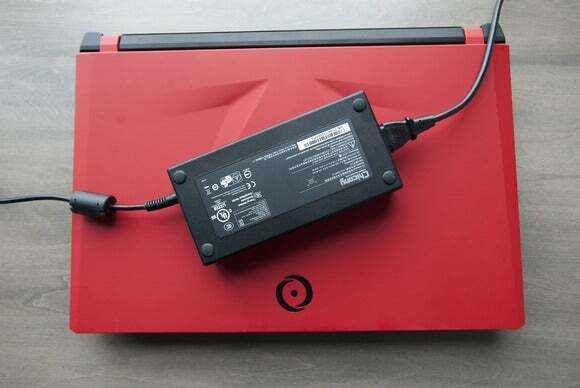 Most serious gaming laptops have dismal battery life. The EON17-S is no exception, lasting just 2.5 hours. Forget about using it on the plane, unless you’re in a First Class seat with AC at hand. You could bring an extra battery pack—it’s easy enough to swap it out for a fresh without need of a screwdriver—but that will pile yet another pound to an already heavy load. Most people will just wait ‘til they’re settled in a hotel room. 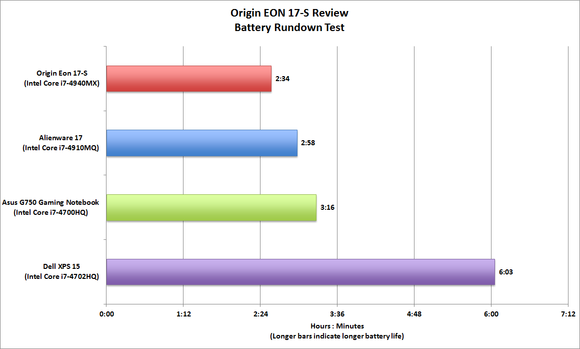 The EON 17-S is certainly hard on a battery. As with most boutique builders, Origin custom-assembles your machine when you order it—the company doesn’t sell at retail or carry much in the way of finished-goods inventory. That means you can’t head down to your local Best Buy and try a system on for size. So you should be aware that Origin’s return policy is less forgiving than some: It assesses a 15-percent restocking fee, and you’re expected to pay for shipping. Some custom shops—including Alienware, CyberPC, and Falcon Northwest—don’t charge a restocking fee at all (none of the companies I spoke with will issue refunds for installed software, custom paint jobs or decals, or any other extras). Between the Extreme Edition CPU and the over-the-top Nvidia GPU, the EON 17-S delivers out-of-this-world gaming performance. Once you take the plunge, Origin delivers great tech support—around the clock and for the life of the machine. When I called, Origin’s reps did a first-rate job of answering my questions. Having a knowledgeable tech take remote control of your PC over the Internet and troubleshoot it is a vastly superior experience to having a know-nothing read questions from a support tree before they ultimately transfer you to someone at a higher level. Origin dresses up the standard Clevo chassis with custom A-panel all its own. 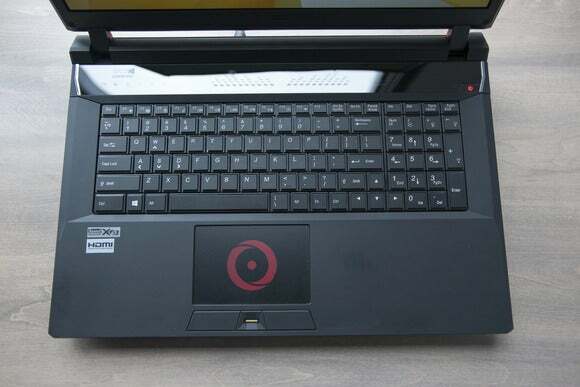 PCWorld awarded the earlier EON 17-S four stars, but the competition wasn’t as fierce then. 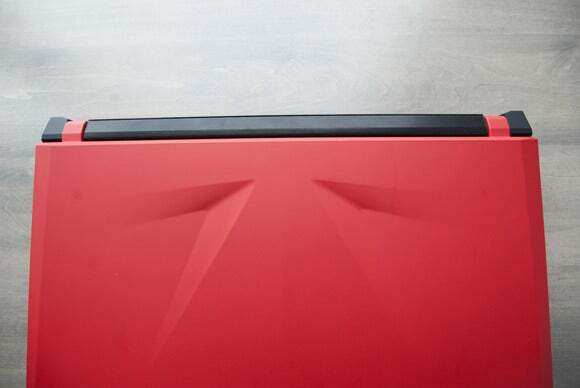 This time around, an Alienware 17 came into the lab about the same time as Origin's machine, and it performed slightly better on many benchmarks. 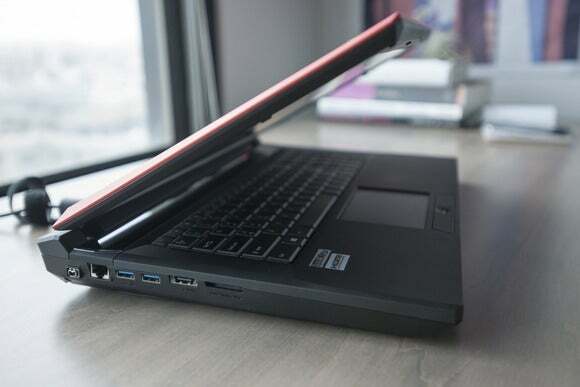 Dell’s machine also feels more tightly put together—and it cost less (it’s outfitted with a lesser CPU and it has only one SSD, but it packs the same GPU). The full Alienware review will be published in a few days. Having said that, 3.5 stars on our scale is a solid "buy" recommendation. If you want the custom treatment, Origin continues to deliver the goods with the EON 17-S. Origin has done its usual terrific job of creating an uber-powerful gaming laptop, but the custom-build space is getting more and more competitive.